Volvo Group reported fourth-quarter revenue rose as net income fell, while higher worldwide truck orders and deliveries increased both revenue and net income for the full year. For the quarter ended Dec. 31, Volvo — which reports in Swedish krona — had net income that was the approximate equivalent of $250 million, or 14 cents per diluted share, compared with $526.8 million, or 25 cents, a year earlier. Revenue in the quarter increased to $11.6 billion compared with $10.1 billion a year earlier. Despite some continued capacity constraints, Volvo delivered 62,352 trucks during the quarter, or 4% more than the 59,814 units it delivered in the same period a year ago, according to the Gothenburg, Sweden-based company. At the same time, quarterly net truck orders fell to 59,535 from 69,597 a year earlier. Volvo is the world’s second-largest truck maker. North American orders in the quarter decreased by 24% to 14,014 vehicles, while deliveries increased by 35% to 14,072 vehicles. Its North American brands are Volvo Trucks North America and Mack Trucks. “Order intake in North America has moderated, which was expected as the order book is close to full for 2019,” Volvo CEO Martin Lundstedt said in a statement. During the quarter, Volvo Trucks signed an agreement with Brønnøy Kalk AS in Norway to provide its first commercial autonomous transport solution for a limestone mining site, the truck maker noted in the earnings report. Volvo Trucks also announced that it plans to introduce all-electric Volvo VNR demonstrators in California in 2019, operating in distribution, regional-haul and drayage operations. Sales of the Volvo VNR Electric in North America are slated to begin in 2020. Volvo Financial Services continued to grow its credit portfolio and increase profitability, with record new business volume for the quarter due to increased deliveries of trucks and construction equipment and a stable penetration rate, Volvo said. For the full year, Volvo’s net income was $2.8 billion, or $1.35, compared with $2.2 billion, or $1.11. Revenue jumped 17% to $43.2 billion compared with $36.7 billion a year earlier. Global truck orders in 2018 climbed to 257,504 compared with 232,439 a year earlier. North American orders rose 54% to 79,364 compared with 59,613 a year earlier. Truck deliveries rose to 226,490 from 202,402 in the 2017 period. North American deliveries jumped to 53,877 compared with 37,941 a year earlier. “In 2018 we continued our drive to develop next-generation transport solutions. We moved our positions forward in electrification, automation and connectivity. For instance, both Volvo Trucks and Renault Trucks will begin selling electric trucks in Europe this year and Mack Trucks will have an electric refuse truck in operation in New York City,” Lundstedt said. “We expect demand for trucks to be on historically good levels also in 2019. Growth in the North American economy, with high transport volumes and good freight rates, is expected to support the truck market also in 2019,” he said. Volvo’s North American forecast for 2019 remains unchanged at 310,000 heavy-duty trucks. Volvo’s trucks, construction equipment, Volvo Penta and financial services all recorded their highest adjusted operating income ever in 2018. 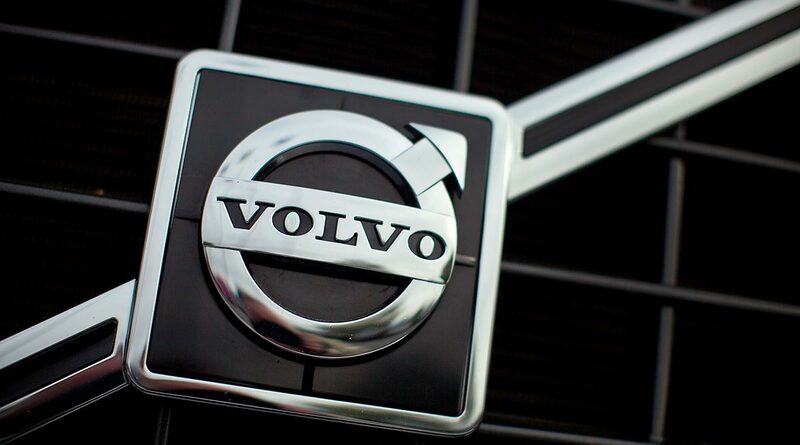 As previously reported, Volvo Group has detected that an emissions control component used in certain markets and models may degrade more quickly than expected, affecting the vehicle’s emission performance negatively. The company has made a provision in the fourth quarter of $770 million relating to the estimated costs to address the issue. Negative cash flow effects will start in 2019 and gradually ramp up in the coming years. Volvo Group will continuously assess the size of the provision as the matter develops, it said.